Meow Barber - Bat-Meow Bat-Meow idolizes the Batman, so he asked the Meow Barber for the same haircut as his idol. 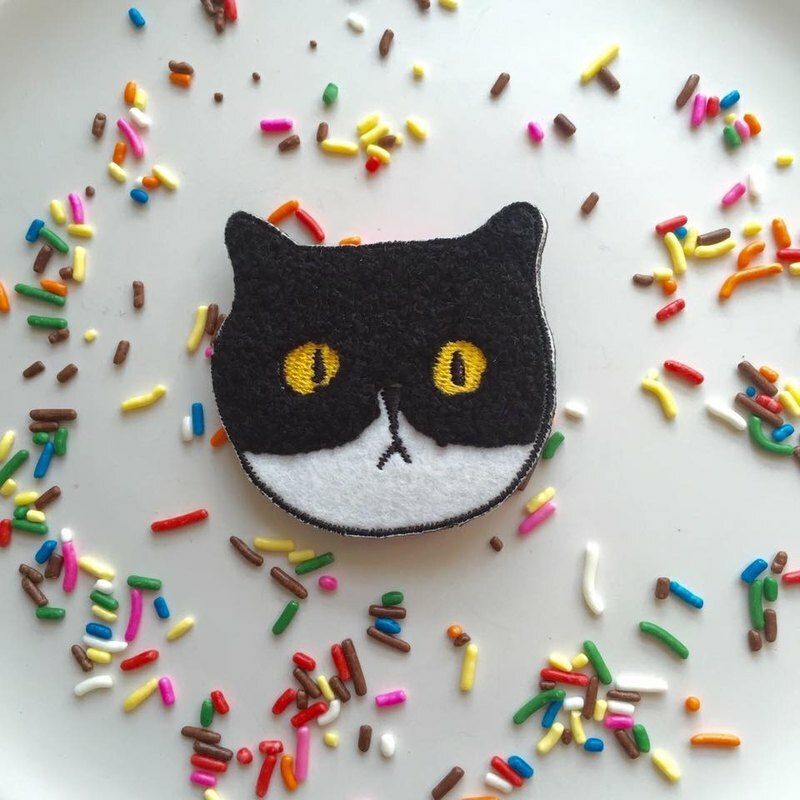 ● Size：6 X 5.7 cm ● Embroidery thread + Pin ● made in Taiwan ------------------------------ ●About Meow Barber In Cat Village, there’s a Meow Barber owned by a black cat with yellow eyes and a face that’s always grumpy. Every cat calls him Badkitty. This shop provides haircut and mustache trimming services. The price for each cutting or trimming is a Sanma fish. When the Meow Barber Pole in front of the Meow Barber begins to spin and the cat’s eyes start to blink, the shop is open for business! Customers who come to this barbershop are mostly black and white cats, and they have strange requests. Bat-Meow idolizes the Batman, so he asked the Meow Barber for the same haircut as his idol. No matter how strange their requests are, Badkitty always made sure that customers leave with a satisfied smile. Welcome to the Meow Barber!